One of my goals this year is to incorproate some more plant based meals into our meal plan. After a pretty loose December filled with all kinds of holiday goodness like Christmas cookies for breakfast and appetizers for dinner, my body was just craving veggies. So I began looking for some more plant based meals and want to do at least one every week. I have been testing out some over the past two weeks and will continue to test out recipes I come across or those I create myself. I decided this year my Monday posts will be titled "Something New for Your Family Table". Sharing a new plant-based or meatless recipe for you to try out. I will also link last year's weekly plan, in case you want some other ideas for the week. 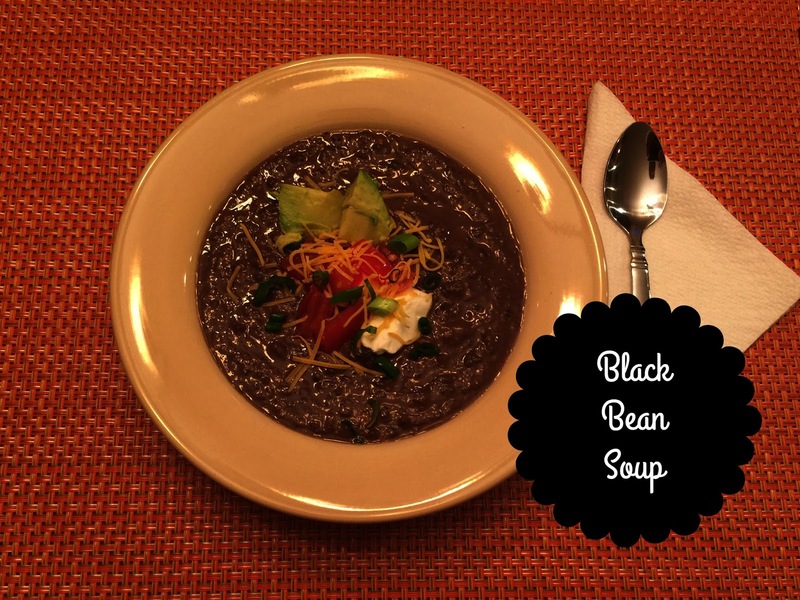 This week I am going to share my Black Bean Soup recipe. I love this soup and so does my family. And soup in January is always a good idea. Simple ingredients you probably have on hand most days, and you can jazz it up with your toppings. The beans are really filling, but you can add some cheese quesadillas on the side if you need something more.